EVA Movement involves the entire body, and refreshes the emotions and the mind. 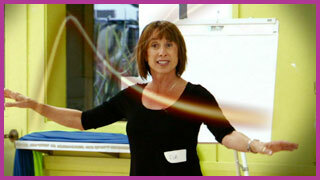 The result is a holistic body awareness and movement program that benefits people of any age, and almost any condition. One of the unusual things about EVA Movement is that it is founded in the principles of modern dance, which are based on the body’s need for harmony, elasticity and healthful habits. Recently, a number of studies have verified what Eva has always believed: that modern dance movements offer many benefits, including enhanced energy, strength and grace as well as increased longevity. The EVA Movement programs also draw on disciplines as diverse as gymnastics, yoga, Pilates, tai chi, Qi Gong and ballet. Eva’s genius – and the success of EVA Movement – lies in the way she combines and expands on these modalities and filters them through her own experience and perspective. Whichever of her three programs you choose, you will find that EVA Movement addresses your specific needs and does not require any fancy equipment or expensive gym fees. Best of all, EVA Movement promotes healthful new behaviors that will give you a new and enriched connection with your body. You will look better and feel better. As a result, you’ll experience newfound energy and confidence. Copyright © 2011 Eva Nemeth. All rights reserved.